Women’s bathroom – what is it? Bathroom tells all about his mistress, because it is a continuation of her character. The main features of the feminine bathrooms – traditional female colors and soft graceful forms, whether tub on legs or round sink. 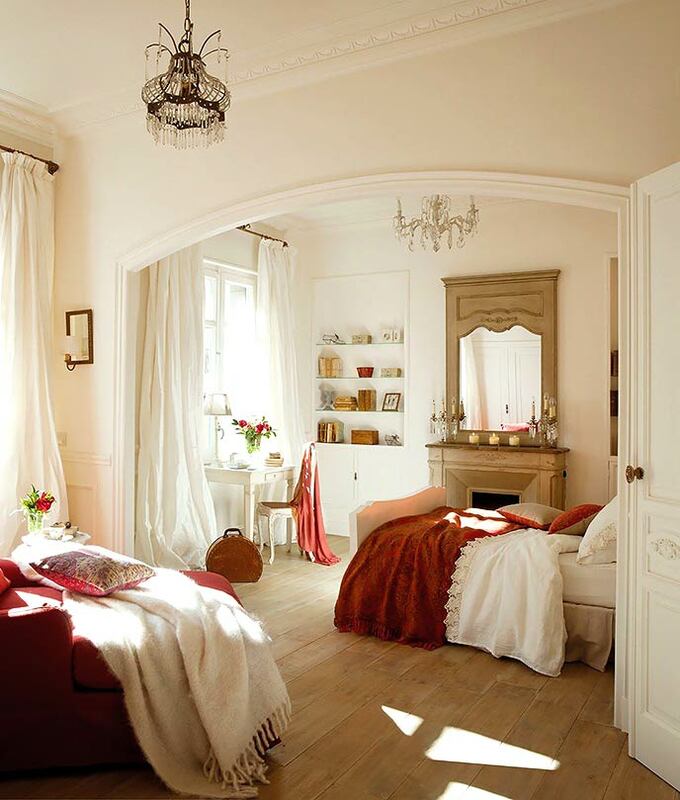 It is mandatory that a large mirror, and better – a few, and an abundance of comfortable fabrics. Bathroom French style gives the girl love luxurious life and expensive, and the bathroom in retro style – a lover of classical music. The company is Artceram washbasin Cup, which is several times larger cup. He is clearly designed for those who have a sense of humor, and who does not lose, hurrying to work early in the morning. Product Dimensions 75x50x85sm. 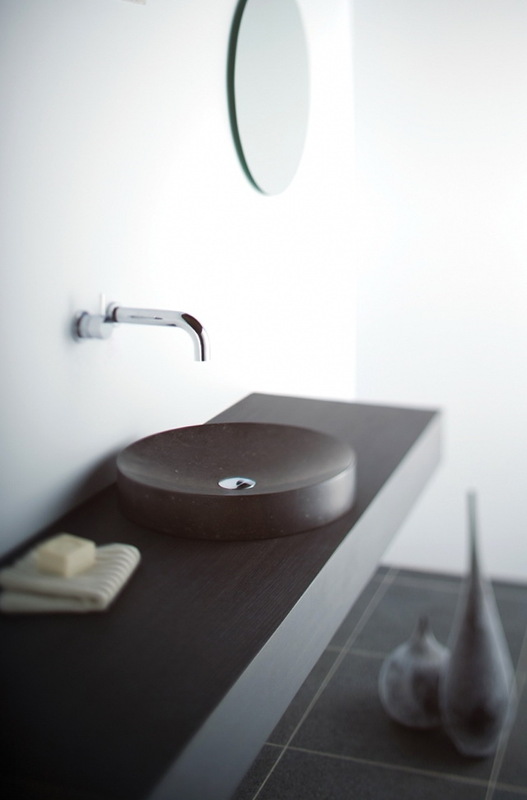 Washbasin is made in two versions – black and white. On the handle of the cup is a special place to place soap, toothbrushes, and other accessories. 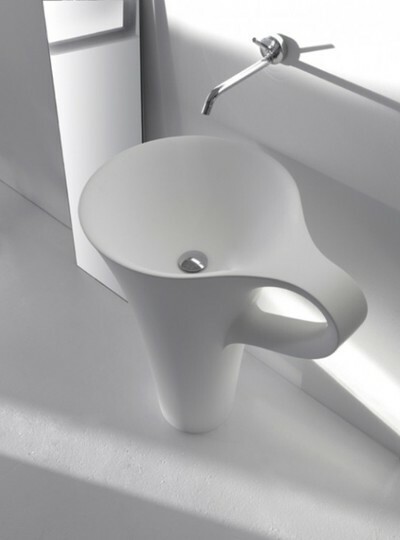 This sink-cup fits perfectly in the interior of any style – classical, modern, minimalist, etc. 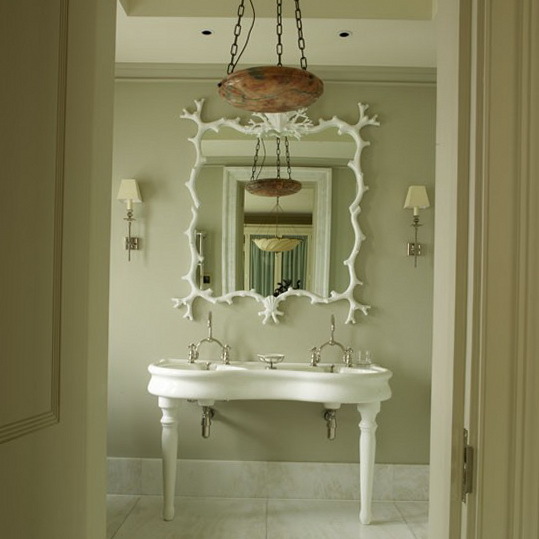 To make the vintage style bathroom is enough to place it in some decorative elements with a touch of antiquity. For this ideal older vessels, copper soap dish and other boxes and chests. 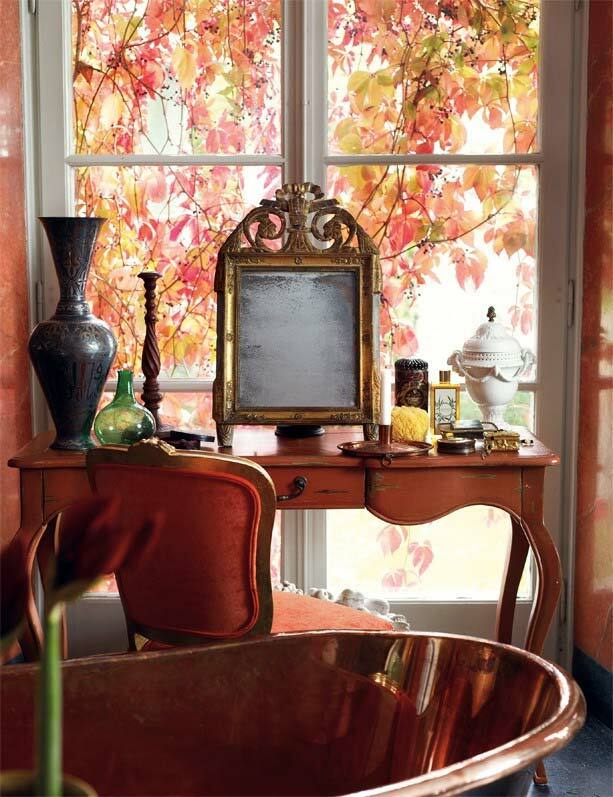 If space allows you can set with elements of retro furniture (chair, chair, dresser) or decorate the wall antique mirror. Even not the usual thing for the bathroom, suitable to create entourage. 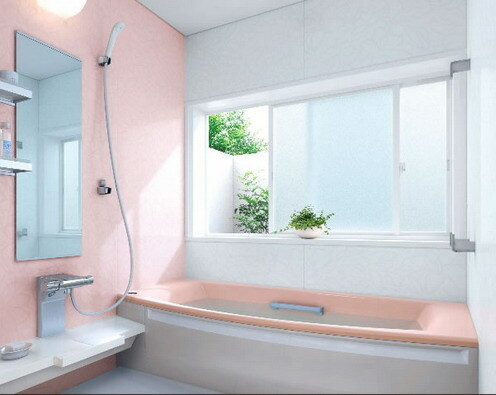 In the design of the bathroom is important to consider the combination of light, color match and materials from the interior and temperament owners. 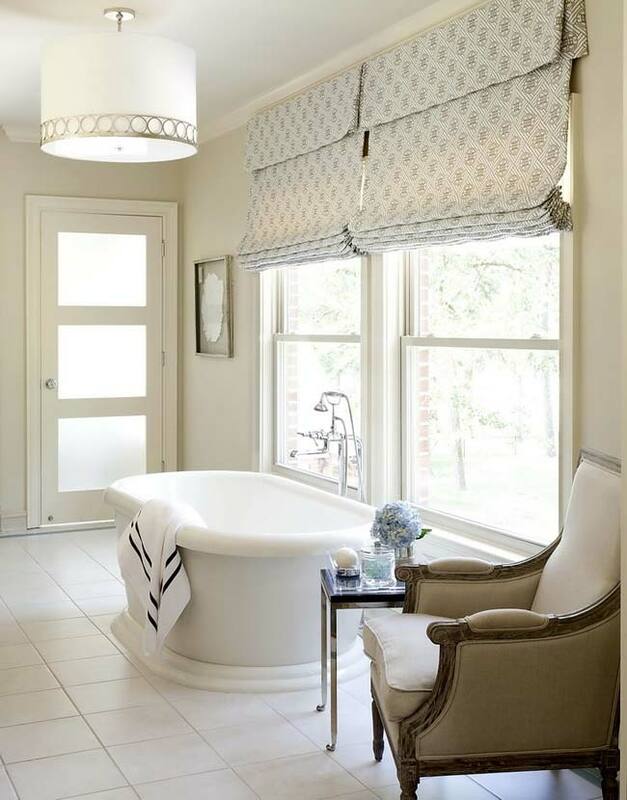 Beautiful bath differs from conventional bathrooms his carefully thought out, stylish design. 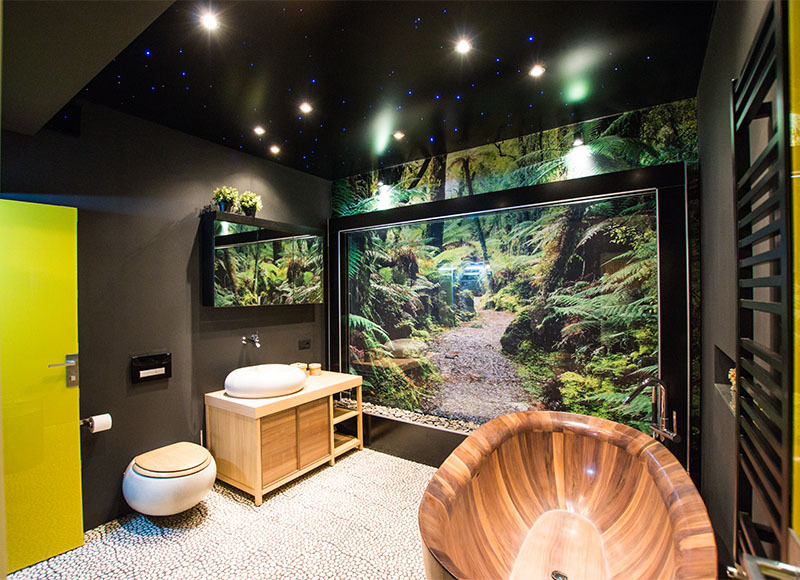 Thinking styles and the bathroom in the first place, the designers aim to create beautiful and functional room in which it will be pleasant to retire and recuperate at the end of the day and cheer up, and tune in to a working mood, in the morning.